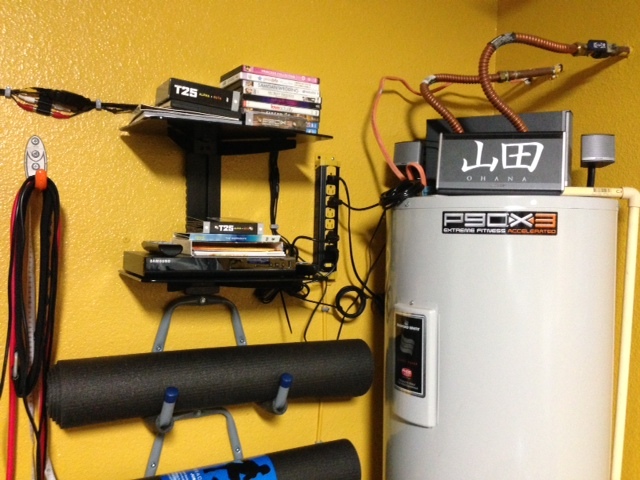 …when you can build your own gym at home! One of my goals for 2014 is to get in the best shape of my LIFE! So, once Marv got back from deployment, he set out to make my goal an accomplishable reality via setting up our very own home gym. Being pregnant at the time, expecting our 3rd, I knew that it would be pretty difficult for me to find the time (and child care) to venture out every day to a gym – not to mention the monthly or yearly gym membership fee. Like many other things in this household – first stop: Craigslist! After a couple weeks of searching, Marv was able to find 2 huge wall mirror that someone was selling. ($75 for the big one, and an extra $20 for a slightly smaller one that can be seen in the pic in back of our water heater). The main problem though was transportation! 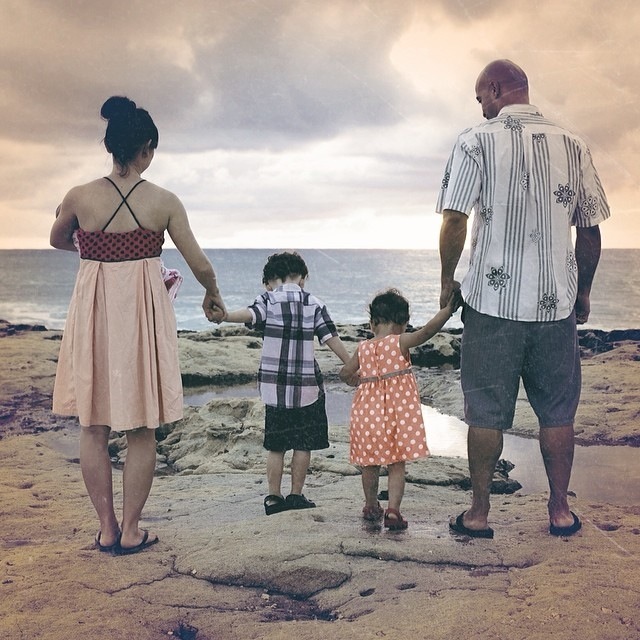 (from Hawaii Kai to Makakilo….so about a 1-1.5 hr drive away). Too big to fit in our van, and not wanting to risk cracking it enroute, we decided to rent a big UHaul van. 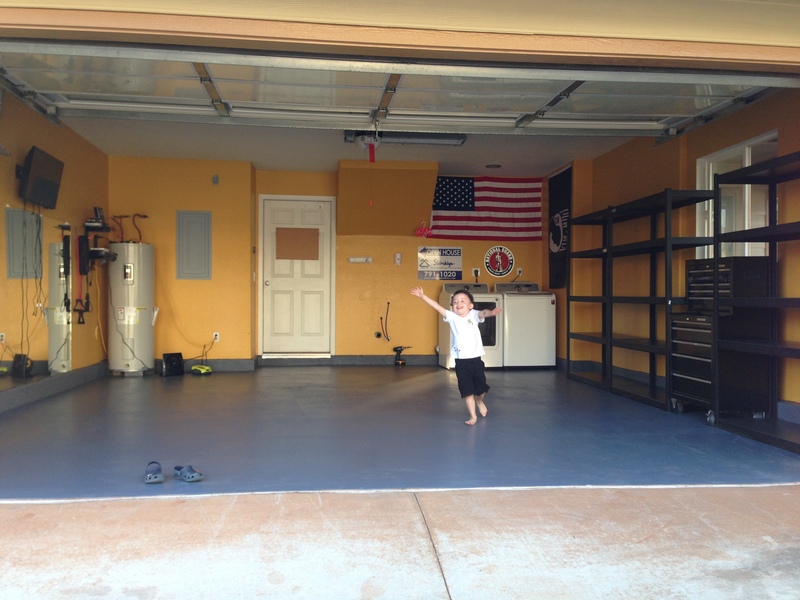 Half a day later, with lots of driving and moving those HEAVY mirrors to and fro, they made it safely into our garage! 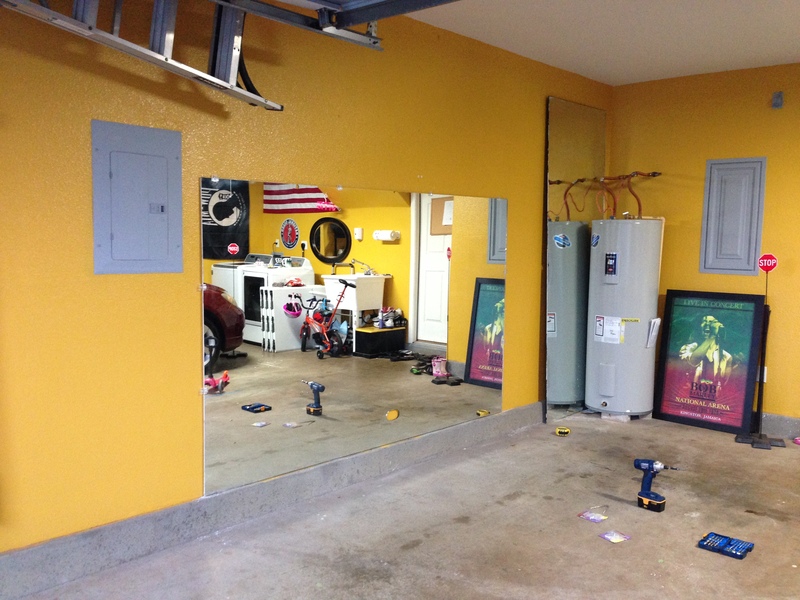 Marv (being very mission driven to try to get as much accomplished before baby came) got right to it, watching YouTube videos to figure out how to anchor these mirrors safely onto the garage wall. 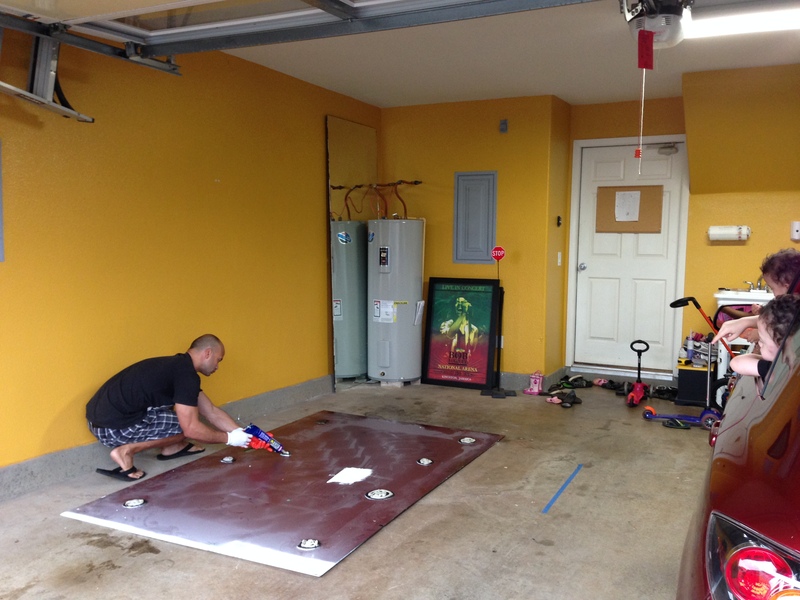 The next day, with proper mounting equipment in hand and our two kids watching from the windows of his car (they got to play inside while we worked in the garage) Marv and I got the big mirror up! 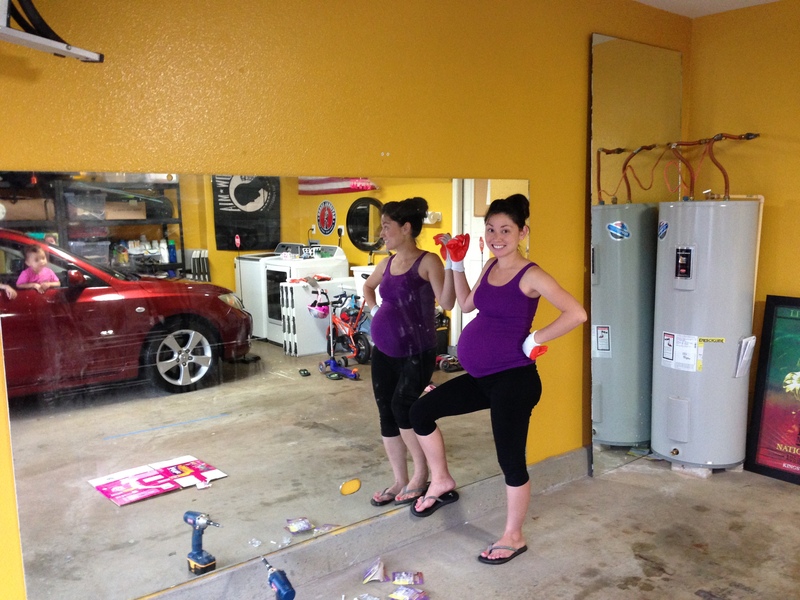 Here I am (veeeeery pregnant) holding the mirror against the wall as the glue stuff on the back dried, and as Marv went around attaching mounting hardware to it. By the way, this was 2 days past my due date….I gave birth the very next morning! And, voila! 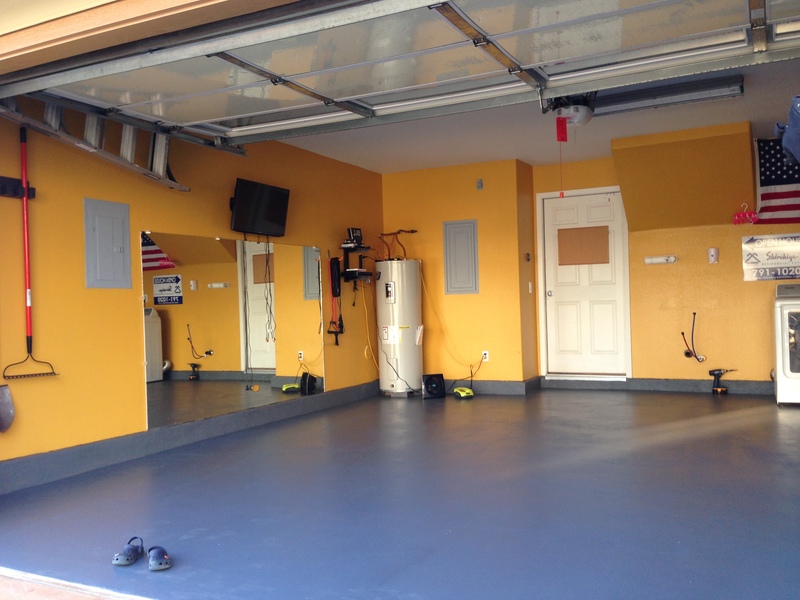 Our garage gym was formed! 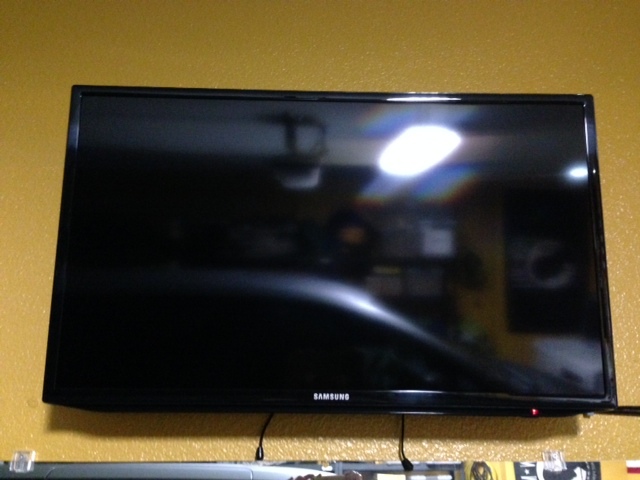 All together, we spent roughly $75-100 on coating the floor with a non-slip surface, $250-ish on the Samsung TV screen, an extra $50-ish for mounting hardware and connecting cables, $30 for DVD shelf, $35 for Samsung DVD player, $25 for misc hooks/holders and power strip, $95 for the 2 mirrors (sold one and made $50, so $45 out of pocket for our large wall mirror), and $100 for the UHaul truck rental. We already had the Bose sound link and speakers, so total out of pocket after accounting for the money we made back from selling the smaller mirror, we spent roughly $600. 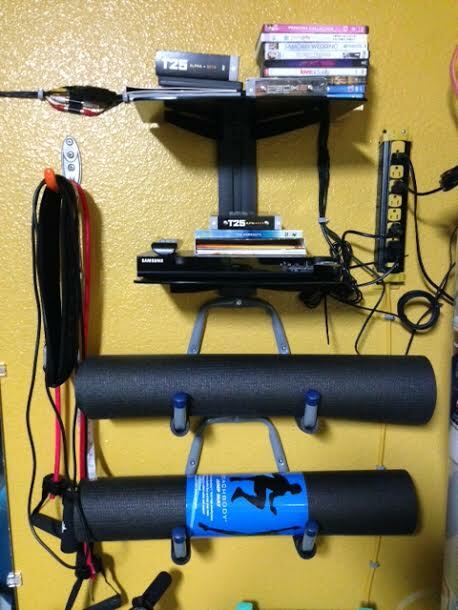 If we had more time, we would’ve searched Craigslist for a used TV screen – possibly saving close to $100-150, BUT, we wanted to get our home gym finished before Marv went back to work, so we bit the bullet and spent the money to buy new. 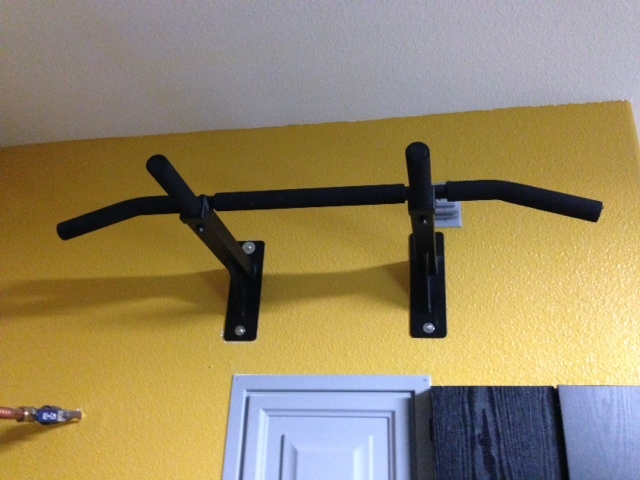 I’ve been using our “home gym” now for a week straight and LOVE it! – I don’t have to be self-conscious working out in a traditional “gym” since I can do it from the comfort of my own home! All in all, we are happy with how everything turned out and are LOVING our new gym!